Before you can hire an arborist, it is important to understand what one is. An arborist is a highly skilled tree surgeon. They specialize in pruning, tree removal, and emergency tree treatment. They have expertise in the needs of trees, which allows them to ensure the tree’s health and natural beauty. Hiring an arborist helps to produce attractive and well-cared for trees. In turn, your property value will increase considerably. Not only that, but poorly maintained trees can create a hazardous liability, a situation that might be avoided entirely by hiring an arborist. Tree removal can be a very dangerous task, so it is important to hire a professional in order to complete the project. Doing dangerous tasks such as tree removal or pruning can create a dangerous situation without the help of an expert. An arborist can also help determine when a tree has become unfit, and should be removed due to health, structural concerns, safety, and other reasons that may impact long-term viability. When hiring an arborist, it is important that you hire the right person. Although the tree care market is not regulated in Virginia, many arborists choose to be ISA (International Society of Arboriculture) certified. The ISA is a non-profit organization that supports tree care research around the globe. 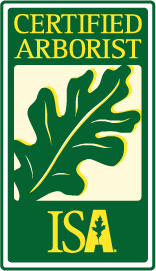 The ISA provides the latest news and techniques to their members and certified arborists. In order to become certified, one must pass an extensive written examination. To hold onto certification, the arborist must keep in touch with innovations in the tree care market through training and participation in educational conventions every year. Certification speaks for the tree knowledge of an individual, and that they comprehend accepted practices. Certification does not guarantee quality of performance; however, certified arborists are required to follow the Certified Arborist Code of Ethics with the ISA. Efforts to improve tree structure. Do you have liability insurance, Workers Safety, and Insurance Board coverage? Is your crew properly trained? Often, qualified workers have a form of certification (i.e., they possess certificates from recognized colleges and/or trade associations such as the International Society of Arboriculture). Will you use special equipment such as bucket trucks or a crane? Do you own the specialized equipment? Are you a member of the ISA? Is tree work your main source of business? How many years have you specialized in this business? Can you provide previous references? Do you provide the customer with a written estimate? Is there an extra charge for an estimate? Does your estimate include the clean up and removal of all leftover debris? If I would like extra work done, what is your hourly rate? When can the work be accomplished, and how long will the project take? Do I have to be present when the work is done? What form of payment is accepted (cash, credit card, etc.) and when is payment due? Where to find an Arborist? You can find tree care specialist and arborists by location through the ISA website. You should only hire a business that specializes in tree care work, and has the properly specialized equipment. You want to ensure that you are getting the highest quality and safest work around. As you can see, hiring an arborist has countless benefits. From increased property value, to fewer liabilities, there are many reasons to hire one.